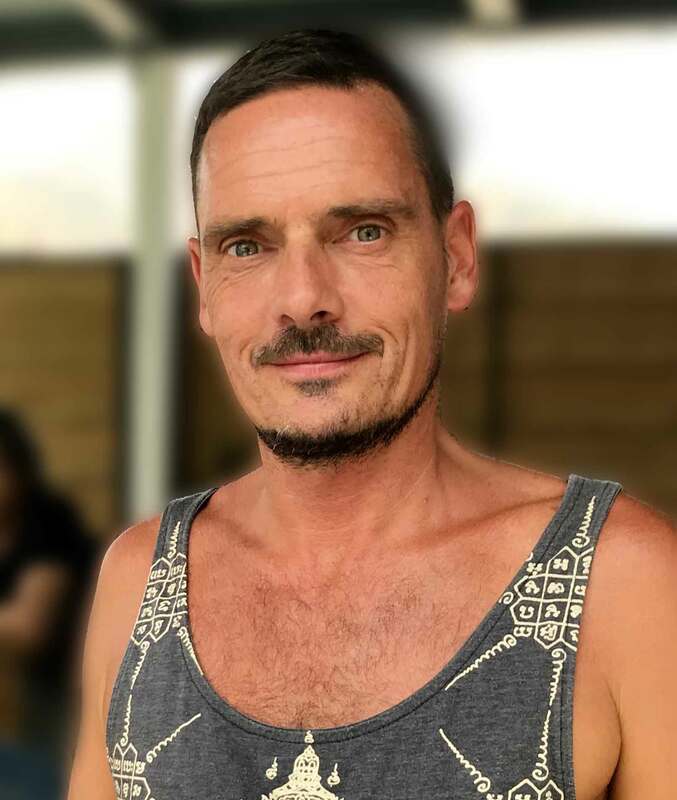 My name is Mark, I am Franco-British, I have been teaching yoga for almost 10 years. Yoga has become for me a way of life that includes physical practice, but especially the philosophical base. My teaching focuses on the physical practice of asanas, that of a precise and rigorous yoga, where the postural work arises and is articulated in total adequation to find the symbiosis with the respiratory work. My classes follow a precise structure to put in place the physical and respiratory bases, to correctly stretch and reinforce the body in depth. My workshops allow to propose working themes that address in detail one of the aspects of the work of the body and breathing. My yoga classes are like workshops where the practice is varied and complete. 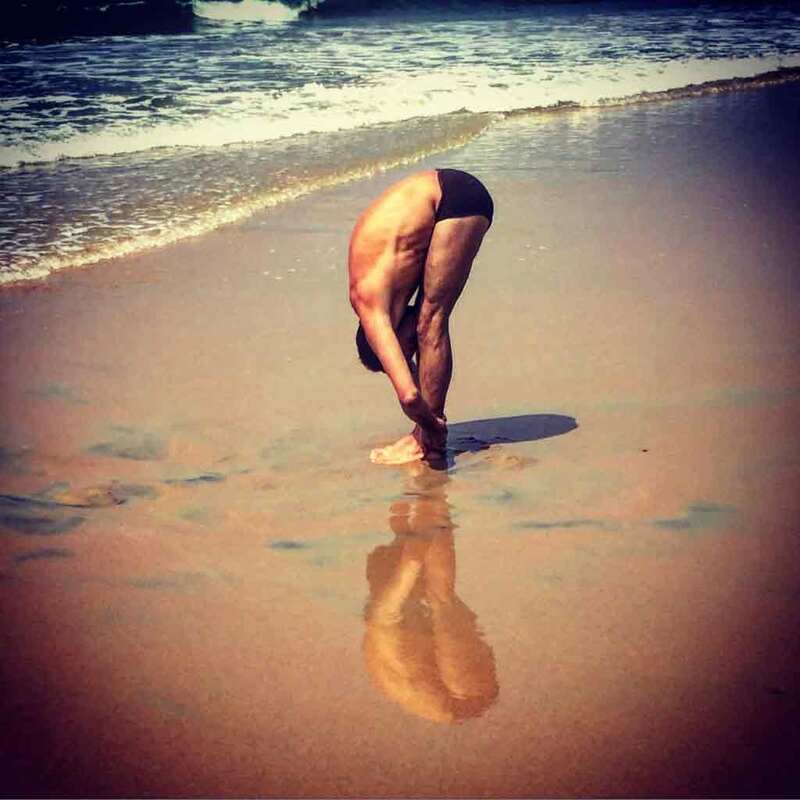 My practice is Hatha Yoga influenced by the teachings of BKS Iyengar and T. Krishnamacharya. My vision and my own practice of Yoga is holistic, the practice of asanas is associated with the study of Vedic texts and different techniques of preparation for meditation. Yoga is for me a way of life. They are addressed to any man who wishes to participate in a natural practice. I am a gay man but the classes are open to everyone. I offer a healthy, tolerant and respectful work environment based on fellowship. Yoga is a demanding and physical practice that can adapt to most morphologies and levels of flexibility. 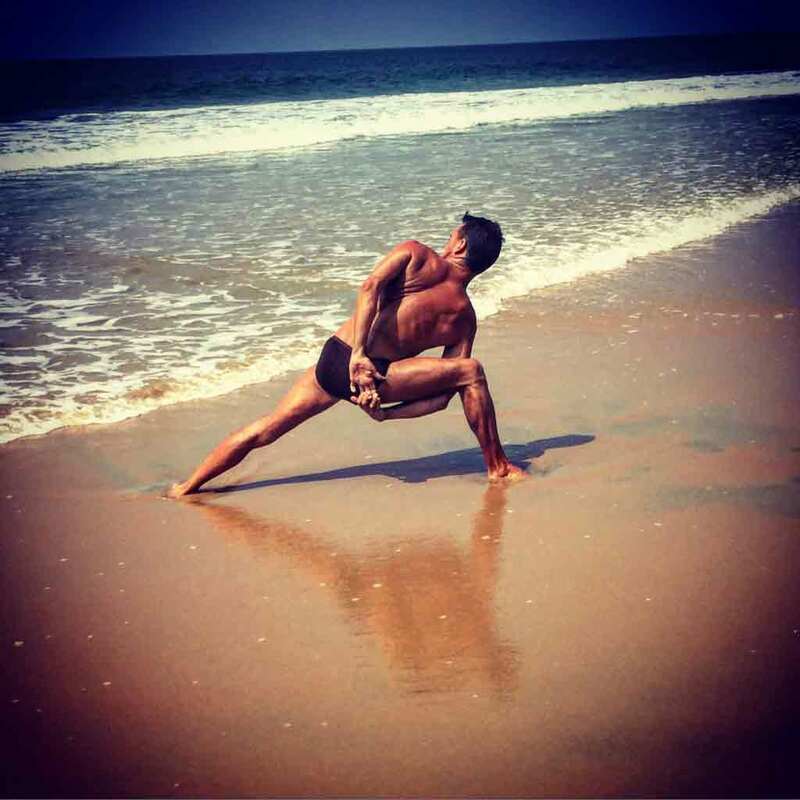 Yoga is not a competitive sport and every practitioner must agree to adapt his practice to his abilities. My classes are Hatha Yoga classes influenced by BKS Iyengar. I propose many accessories for a more precise work and allow that the alignments are correct for all. I teach in small groups to attend, adjust and advise each participant. I do not favor quantity, I strive to practice in accordance with the philosophy of traditional and secular yoga. The course lasts two hours to allow to have a complete and coherent practice where each part takes its direction and its time. The only issue I had, was with the budget accommodation, I would have preferred to pay more and have a better quality of accommodation, from our discussion this is what you are planning to do in the future, please bio ahead with that plan. Your course brought me a lot of serenity, appeasement and the feeling of my body that opens. Again thank you Mark for this great course and this beautiful atmosphere. Bravo. 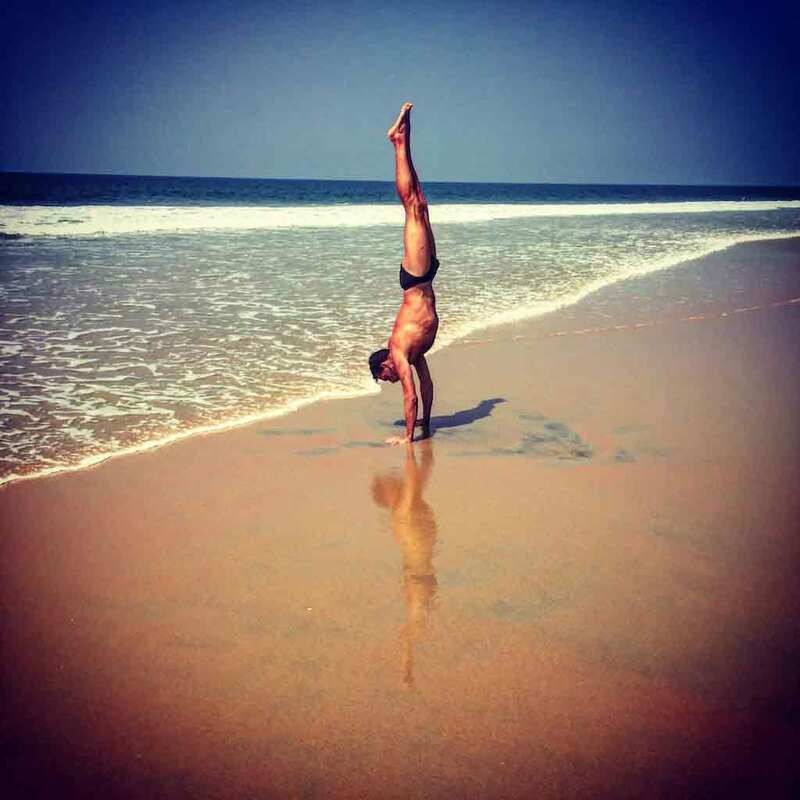 The yoga for men retreat in Varkala was a time to remember my forgotten yoga practice. I also learnt so much about india and the local culture through all the contacts and knowledge of Mark. It was a great time foe me, full of calm and piece. Everything was great, I have no suggestions, keep it up, keep it going, thanks again for everything. Your welcome and your pedagogy are a real pleasure. See you soon. Merci vraiment pour tout ce que ton cours apporte… je ne parle pas seulement de yoga mais aussi de ta générosité, ta bienveillance et toute ta lumière. C’est une expérience fantastique que j’espère bien continuer à ton retour. Mark, thank you for the great organisation and the great yoga retreat you put together. You team were also great and worked very hard, thank them greatly. I loved your classes, the adjustments you proposed, you clearly have great knowledge and experience and you helped me with my practice. I also loved the massages your organized at CJ’s, thank him and his team too. Mark, during the yoga for men retreat I learned that one had to be patient and kind with one’s body, that breath was the core of the yoga practice and that with time and focus everyone could make progress, and this is what happened to me, not only during the retreat but once home, the progress that you initiated continued. You helped me as I was used to power yoga and forcing myself too much, making mistakes with my alignements and therefore not achieving the posture correctly. By taking two steps back I advanced five steps forward, thank you. 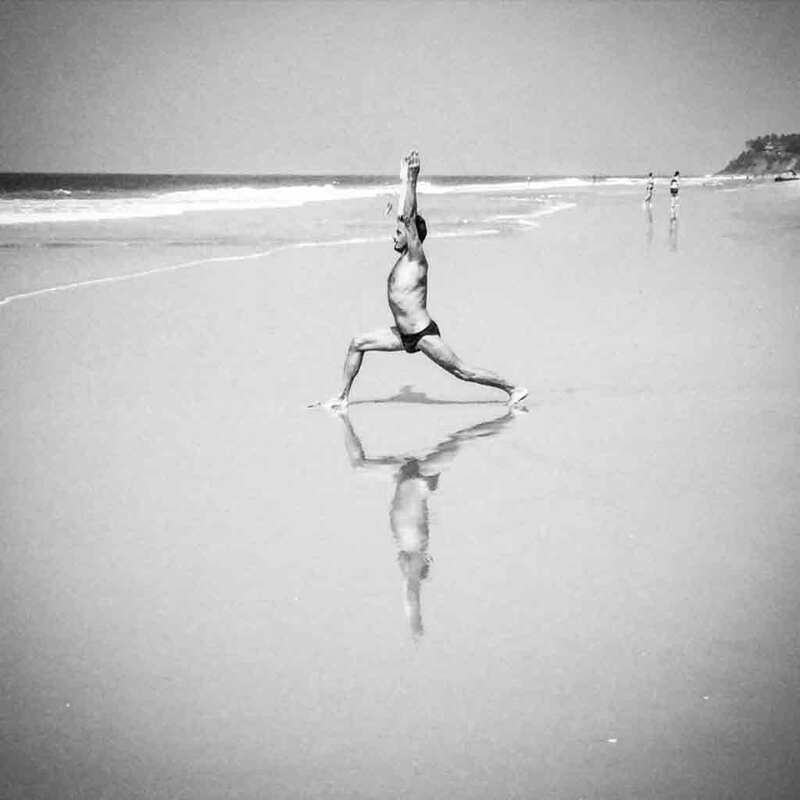 So many good things to say about your yoga for men retreat in Varkala, south india, but most importantly being part of a community with likeminded individuals. There are no negatives, everything was a highlight, fulfilling and exciting. Aside from my progress with yoga postures, I learnt so much about breathing and enjoyed all the benefits. Some of the documentaries were also a brilliant source of education. I have learnt to be so much stiller and my spiritual awareness has increased amazingly. All your team were great, amazing, charming and I loved all the moments together. I had a wonderful time. I nearly forgot to mention the massage classes, I was truly surprised that you could deliver such quality course teaching us so much in such little time, your are so efficient, I learned so much. I enjoyed the ease and welcome into your (mark’s) indian family during the yoga and massage for men retreat. I loved the accommodation you found for me, the Oceano eco as the budget accommodation was really not up to my standard and I wanted a bit of luxury. During the course of my stay and thanks to your tuition and help, I learned to let go, I deepened my yoga practice and was able to reconnect with myself. I feel more happy overall and learned a huge amount about indian culture. I was impressed and very grateful for your very professional approach and the overall care of all participants of the yoga retreat, i felt nurtured and cared for and was able to release and let go of my worries and fears. I trust myself so much more and I really like the idea of the inner guru you make us get into contact with. The massage classes were also a great experience and allowed me to understand the different techniques of Ayurvedic Indian massage. Mark, your retreat in India, what a good program, what a wonderful and magical place. Your classes and your workshops, I loved it. I learned to know better and understand my body, the functioning of my joints and some of my muscles. Thank you for your availability and that of your team, this family that makes us available is simply great and unique, it allows us to understand the culture and everyday life of Indian families, a true cultural immersion. Mark, this last practice was superb. Dear mark thank you for these really great yoga sessions.